Released on 4 November 2016, as a 2CD, 6CD or 3LP set, and reached no. 25. Disc One length 59:17. Disc Two length 41:49. This album contains all six of Queen's sessions recorded for the BBC, from 1973 to 1977. It was released as a double disc CD, a triple LP, and a six CD deluxe set, which adds a disc of live highlights from concert broadcasts, titled 'Live On Air', and three discs of interviews, spanning the years 1976-1980, 1981-1986 and 1986-1992. Full details and transcriptions of these discs are on separate pages. Fourteen of the 24 tracks have been released before as part of various projects. Sessions 1 and 3 were released in the UK as the 1989 album 'Queen At The Beeb', and later in the USA in 1995 as 'Queen At The BBC'. A further five tracks were released as bonus tracks on the 2011 double-disc reissues of 'Queen II', 'Sheer Heart Attack' and 'News Of The World'. Finally, one track was issued on a promo only CD single which was given away free with 'The Sun' newspaper in 2002. A double album containing all six sessions was originally planned for the mid-1990's, but nothing ever materialised. The complete sixth session was later released as part of the 'News Of The World' 40th anniversary boxed set, with the dialogue in much better quality. While all formats of 'On Air' contain the same 24 tracks recorded for the BBC, the versions on the deluxe 6 CD set are slightly different as in most cases they add short excerpts of dialogue from the presenters (John Peel, Alan Black, and Bob Harris) between tracks. These do not affect the tracks themselves but obviously give a slightly longer running time. Sessions 3, 4, 6, and half of session 2 were recorded fully live in the studio, while sessions 1, 5, and the remainder of session 2 started off with the album version backing tracks, and the band added new vocals and other instruments. It was commonly believed that 'The March Of The Black Queen' was also recorded during session 4, but the sleeve notes deny this. However, it seems very unlikely that they would only record three tracks, especially as they are quite short, so it is more probable that they attempted to record the track but were unhappy with the result, or ran out of time. In the end, the album version was broadcast as part of the session instead, with a fade-out at the end. Disc 1, Track 1. Length 4:07. Recorded during session 1, at Langham One Studio, London, on 5 February 1973. Produced by Bernie Andrews, engineered by John Etchells, and originally broadcast on BBC Radio 1 on 15 February 1973, as part of John Peel's 'Sounds Of The Seventies' programme. This performance uses the album version backing track, with some new elements added, rather than being a fully live version. This track was originally released on the 'Queen At The Beeb' album in the UK, and with the stereo channels swapped on the 'Queen At The BBC' US album and the second 'Let Me Live' CD single. Disc 1, Track 2. Length 3:48. 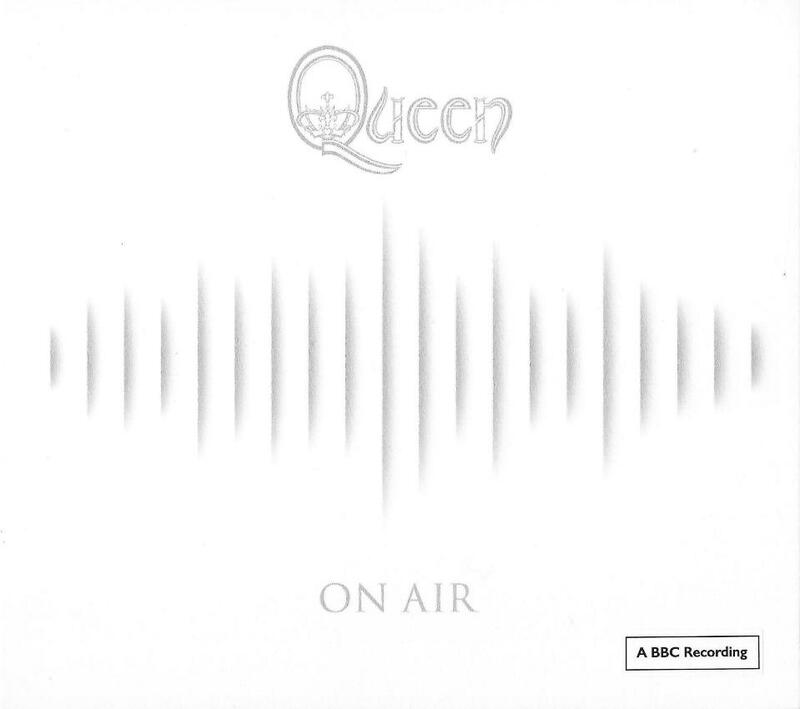 This track was originally released on the 'Queen At The Beeb' album in the UK, and with the stereo channels swapped on the 'Queen At The BBC' US album. Disc 1, Track 3. Length 4:11. This performance uses the album version backing track, with some new elements added, rather than being a fully live version. Roger sings lead vocals on the final verse. Disc 1, Track 4. Length 6:28. Disc 1, Track 5. Length 4:20. Recorded during session 2, at Langham One Studio, London, on 25 July 1973. Produced by Jeff Griffin, engineered by Chris Lycett and John Etchells, and originally broadcast on BBC Radio 1 on 13 August 1973, as part of Alan Black's 'Sounds Of The Seventies' programme. This track was also released on the 2011 double-disc reissue of 'Queen II' in remixed form, which has a heavier and crisper sound. At around 0:32, it uses an alternate line of lyrics, as 'On Air' contains 'caught a train' whereas the remix has 'I caught a train', and Freddie sings 'train' very differently. Disc 1, Track 6. Length 3:49. Disc 1, Track 7. Length 6:28. Disc 1, Track 8. Length 6:01. Disc 1, Track 9. Length 4:38. Recorded during session 3, at Langham One Studio, London, on 3 December 1973. Produced by Bernie Andrews, engineered by Nick Griffiths and Mike Franks, and originally broadcast on BBC Radio 1 on 6 December 1973, as part of John Peel's 'Sounds Of The Seventies' programme. This track was originally released in edited form on the 'Queen At The Beeb' album in the UK, and with the stereo channels swapped on the 'Queen At The BBC' US album. These versions begin with the guitar at 0:42, losing the intro, therefore reducing the length to 3:56. This omitted section became known as the 'Forgotten Intro' on bootlegs. The version on 'On Air' is also incomplete, as the original mastertapes were damaged. Apparently this track was also pressed onto a 7" acetate, presumably for a possible single release, which fades in on the first 'haa' at around 0:58, and out on the last 'battle' at around 4:03, reducing the length to around 3:05. Disc 1, Track 10. Length 2:00. Disc 1, Track 11. Length 5:56. Disc 1, Track 12. Length 7:08. Disc 2, Track 1. Length 2:45. Recorded during session 4, at Langham One Studio, London, on 3 April 1974. Produced by Pete Ritzema, engineered by John Sparrow, and originally broadcast on BBC Radio 1 on 15 April 1974, as part of Bob Harris's 'Sounds Of The Seventies' programme. Disc 2, Track 2. Length 1:27. This track was originally released on the 2011 double-disc reissue of 'Queen II'. Disc 2, Track 3. Length 4:51. Disc 2, Track 4. Length 4:16. Recorded during session 5, at Maida Vale Studio, London, on 16 October 1974. Produced by Jeff Griffin, engineered by Chris Lycett, and originally broadcast on BBC Radio 1 on 4 November 1974, as part of Bob Harris's programme. Disc 2, Track 5. Length 2:15. Disc 2, Track 6. Length 3:25. This track was originally released on the 2011 double-disc reissue of 'Sheer Heart Attack'. Disc 2, Track 7. Length 2:57. Disc 2, Track 8. Length 1:35. Recorded during session 6, at Maida Vale Studio, London, on 28 October 1977. Produced by Jeff Griffin, engineered by Mike Robinson, and originally broadcast on BBC Radio 1 on 14 November 1977, as part of John Peel's 'Sounds Of The Seventies' programme. This track contains a shortened slow version (1:14), followed by an explosion and reading (believed by some to be 'Siddhartha' by Herman Hesse) (0:22). It then segues into the fast version. It was later included in the 2017 'News Of The World' 40th anniversary boxed set. Jeff Griffin and Mike Robinson both provide backing vocals. Disc 2, Track 9. Length 2:45. This track segues from the slow version, and was originally released on a 2002 promo CD, given away free in 'The Sun' newspaper. It was later included in the 2017 'News Of The World' 40th anniversary boxed set, with the dialogue at the end in much better quality. Further details of the track can be found on the 'News Of The World' album page. John Peel: Right on to you too chaps, those are Queen and the first from them tonight, and it's called 'We Will Rock You', profundity or just another teenage anthem? Disc 2, Track 10. Length 5:23. This track was originally released on the 'News Of The World' 2011 double disc reissue, and was later included in the 2017 40th anniversary boxed set, with the dialogue at the end in much better quality. Disc 2, Track 11. Length 6:34. This track features a new middle section, similar to 'Get Down Make Love'. It was later included in the 2017 'News Of The World' 40th anniversary boxed set, with some additional dialogue at the end. John Peel: Oh, positively psychadelic in points there, those are Queen, and that's called 'It's Late'. Disc 2, Track 12. Length 3:10. This track was originally released on the 'News Of The World' 2011 double disc reissue, and was later included in the 2017 40th anniversary boxed set.